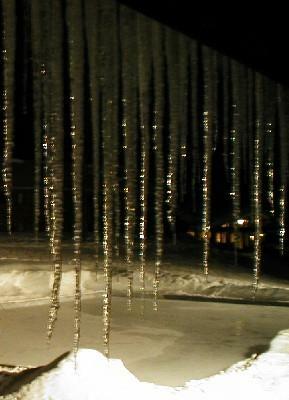 Mr. Karen noticed these icicles first. He said I should take a picture in case they weren’t there later–they might fall off or someone might come along with a stick and knock them down. So I took a picture. Next time I looked out, the icicles were gone, and I could see a guy with long stick a little ways away, knocking the rest of them off farther down the roof line. One year ago, I finished another baby quilt. Two years ago, I peeked into other people’s cars. Three years ago, my laptop was frustrating me.